"Sassy" is a very promising 3F and the culmination of many years' work. She stands on very correct feet and legs, blends smoothly, is well balanced in length, and excels in General Appearance. 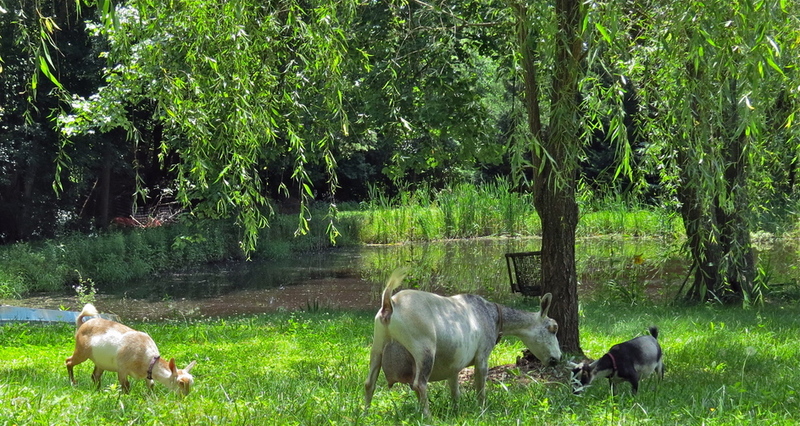 ​Like her dam, SG Waterloo Pond RCT Ginger 4*M AR, Sassy MILKS! ​ADGA Elite Sire list. 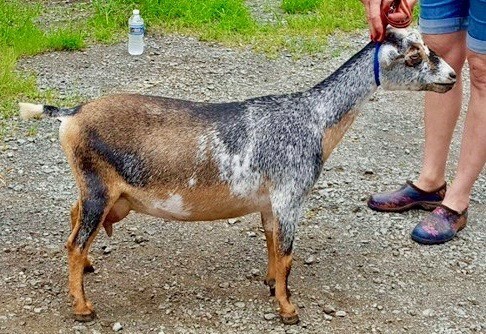 We are retained her "mini-me" daughter, Mitmita, and look forward to getting this dam & daughter pair in the show ring! Miata is a smaller doe with strong dairy character and a strong will to milk. She is ALL business and NOT one for pictures. Our 2017 appraiser was very impressed by how MUCH milk she carried as a First Freshener and how WELL she carried it. Miata's udder is a considerable improvement over her dam's, with greater rear udder height, better attachments, and a soft, buttery texture. 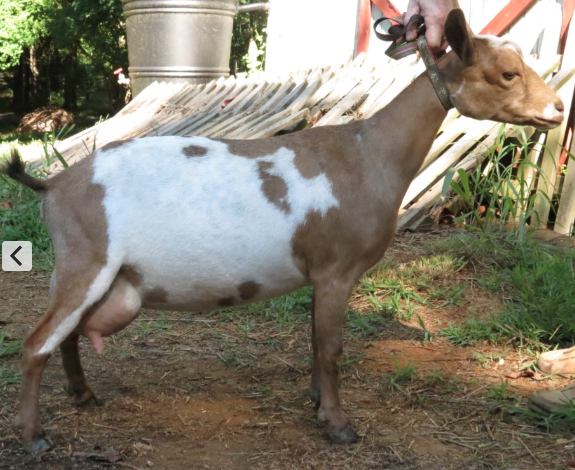 In her first lactation, she earned her star in components (32 lbs of butterfat, 21 lbs of protein). As a 2F, she earned her star in milk and achieved Advanced Registry designation.